One of the biggest gaps in the financial plans of many Americans is protection against the unexpected: becoming disabled or being unable to work for an extended period. One group at particular risk? Women. With more women controlling the household finances, what strategies can you use for meeting the disability insurance needs of your female clients? Let’s take a closer look at how you can help protect them in their roles as both caregivers and income earners. In 2013, 57.2 percent of women were in the labor force. In 2013, 51 percent of all workers employed in management, professional, and related occupations were women. In 2012, working wives contributed 37 percent of their families’ incomes. Given the increasing number of women in high-earning professions and the greater number of working women in general, it’s time that advisors hone their discussions with female clients on the importance of insuring income against disability. Here’s why. As women have outpaced men in the workforce, they unfortunately have also outpaced them when it comes to reporting disability claims, as illustrated in the chart below. 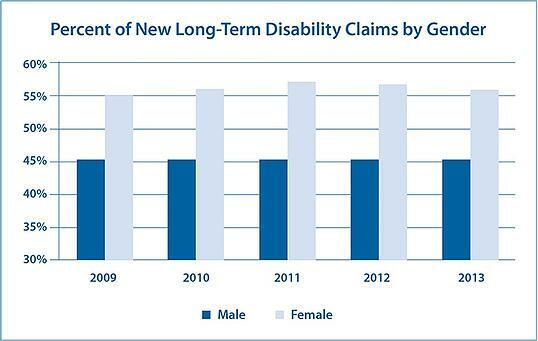 Of new disability claims approved during 2013, 56 percent were for women. And contrary to popular opinion, accidents aren’t the major culprit; rather, most long-term absences are caused by things like back injuries, cancer, and heart disease. There are also claims resulting from complications of pregnancy and childbirth to consider, which now cause about 5 percent of new long-term disability claims for women. Educate your clients on these statistics. You may just find this discussion could alter any preconceived notions they may have about their own risk of disability, and then you'll both be ready to move on to planning for an appropriate level of coverage. Disability insurance—whether through an individually owned policy or an employer—is the primary source of benefits for individuals suffering from an injury or illness. If your client becomes disabled, the insurance will provide money to help pay ongoing bills. This way, assets earmarked for other goals—such as retirement or a child’s education—will be protected. 1) Individual disability income (DI) insurance. This insurance provides a monthly benefit to help replace a portion of the policyowner’s income if she is injured or becomes ill. The policyowner chooses how to use the benefits—to cover expenses, maintain her lifestyle, or fund savings. Individual DI insurance can be used to supplement any existing group long-term disability (LTD) insurance program your client may be enrolled in, so she can protect a larger portion of income. Further, as long as premiums are paid with post-tax funds, the benefits received will be tax-free. 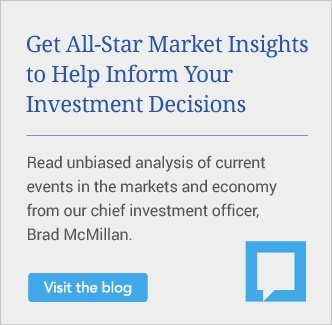 The average cost of individual DI insurance is typically 1 percent to 3 percent of your client’s salary, though it may vary depending on the benefit amount your client desires, along with any extra riders added to the policy. A policy that pays benefits if your client is unable to perform the duties of her own occupation is more expensive than a policy that pays benefits if your client is unable to perform the duties of any job for which she is reasonably qualified. All applicants are individually underwritten for medical history; an offer of coverage is not guaranteed. With a noncancelable contract, the carrier cannot raise premiums as long as the carrier is paid on time. 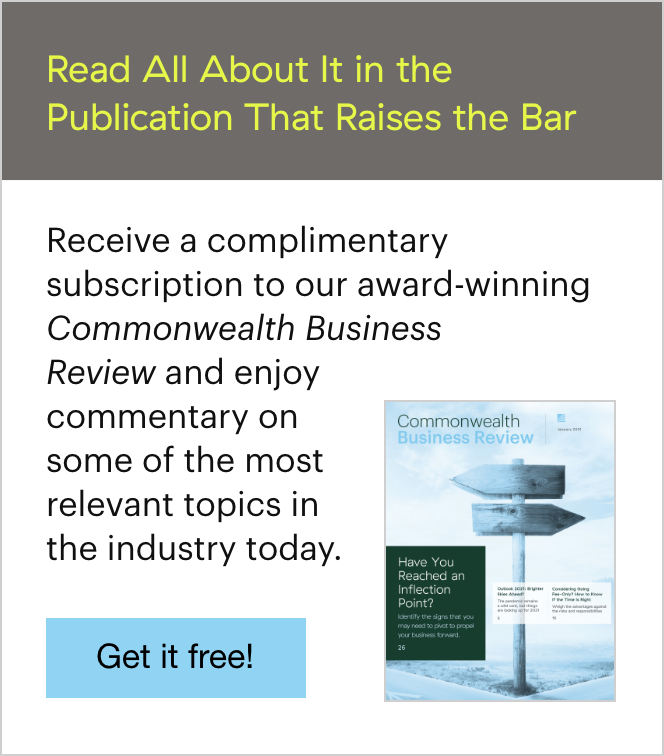 With a guaranteed renewable contract, the carrier cannot refuse to renew the policy, but premiums can be increased at the carrier’s discretion. A contract that is both noncancelable and guaranteed renewable is best. Individual policies remain with the policyowner, regardless of employment. 2) Group LTD coverage. Offered by many employers and some professional associations, this coverage is designed to replace a portion of your client’s salary should she be unable to work for an extended period. Coverage begins when the short-term disability benefits from the employer stop. Premiums can be paid by the employer, the employee, or a combination of both. For group coverage offered to members of professional associations, the individual typically pays all the premiums. If the employer pays the premiums, any claims received will be taxed to the employee as income. If the employee pays the premiums, group disability claims received will be tax-free. Depending on policy terms, the coverage may be for any occupation and not own occupation, as explained above. The more specific the definition, the better it is for your client. Carriers are required to offer coverage to applicants as long as they are employed under the group; applicants are not individually underwritten. Group LTD carriers reserve the right to increase premiums at their discretion and to stop offering coverage to the group. Once the employee separates from service, the coverage is normally no longer available. 3) Social security. Based on an individual’s salary and the number of years she has worked and contributed to the social security system, social security can provide LTD benefits. Bottom line: Capitalizing on coverage among these three sources usually works best when individual DI coverage is in place to the maximum amount based on income, age, and occupation. Then, group or association coverage can be layered on top of it. Determine net monthly income (gross monthly – tax rate). Determine monthly coverage provided by employer group LTD policy (i.e., 50 percent of predisability income). Total all monthly household expenses. Subtract household expenses from monthly group LTD benefit. Any household expense dollars not covered by group benefits should be insured through a personal policy. Many Americans—especially women—do not realize how prevalent the risk of disability is and how catastrophic the sudden cessation of earnings could be. The underserved women’s market and the unaddressed risks of disability present you with both opportunity and obligation. Women care about protecting themselves and their loved ones, and they want to know the risks they face. Many need both the education on their disability risks and a well-designed plan to address them. 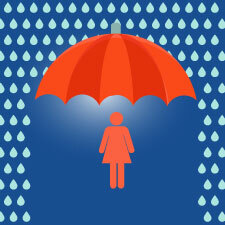 Do you highlight the need for insurance with your female clients? How do you determine how much insurance is enough? Please share your thoughts with us below!